Createspace Independent Publishing Platform, 9781533699145, 216pp. Some curses aren't meant to be broken... When Riley moved to London to get her graduate degree, she never thought of herself as dangerous. But when a guy she loves drops dead, Riley starts to believe in the family curse. Her eccentric grandmother insists that it's up to Riley to break the centuries-old curse that has plagued the family, but all Riley has to go on are Gran's cryptic remarks and a little bit of mostly awful luck. 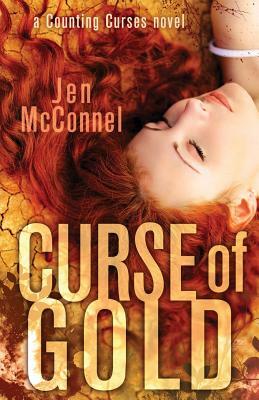 Her luck changes for the better when she meets Tom, a scholar with a treasure-hunting hobby who knows more about Riley's curse than either of them realize. Despite the risks, Riley is drawn to Tom, but her curse prevents her from acting on the growing attraction. Will their combined love of esoteric history be enough to break the curse, or will Riley remain deadly to anyone who falls for her? Award-winning author Jen McConnel makes her home in North Carolina. She writes NA, YA, and various other works. When she isn't writing, she can be found on her yoga mat or wandering off on another adventure. Visit www.JenMcConnel.com to learn more!